Facts about Rashid Khan – Member of Sunrisers Hyderabad IPL 2019 team, Rashid Khan Arman, an Afghan cricketer, is commonly called Rashid Khan. Born on 20th September 1998 in Afghanistan, he has 5 elder brothers. Rashid is part of the national cricket team of Afghanistan and has been part of some of the very prestigious Cricket leagues organized by various countries. Rashid got selected in the Afghan national team at a young age of 17. He made his first ODI debut on 18th October 2015 when Afghanistan played against Zimbabwe. Rashid made also his T20I debit also against Zimbabwe. Rashid became the youngest ever cricketer of Afghanistan to play in T20 cricket. Rashid was declared the joint highest wicket-taker in U19 50 over World Cup in 2016 having picked 10 wickets in 6 matches. His performance of 3/11 against Zimbabwe led his team a win in a World T20 game against Zimbabwe. He first played in IPL in 2017 for Sunrisers Hyderabad and was bought for Rs.4 Crores. In IPL 2017, Rashid took 17 wickets from 14 matches. For Caribbean Premier League 2017, he was bought over by Guyana Amazon Warriors for $60,000. Rashid signed with Adelaide Strikers to play in 2017–18 Big Bash League. In 2017, ICC named him as the Associate Player of the Year. In IPL 2018 too he was retained by the Sunrisers Hyderabad where he played his 100th T20 match. He was also named Man of the Match after he took two wickets and affected a runout. During 2018, in the first edition of the Afghanistan Premier League tournament, Rashid was named as Icon Player for Kabul Zwanan’s squad. Rashid is again playing in IPL 2019 for Sunrisers Hyderabad. 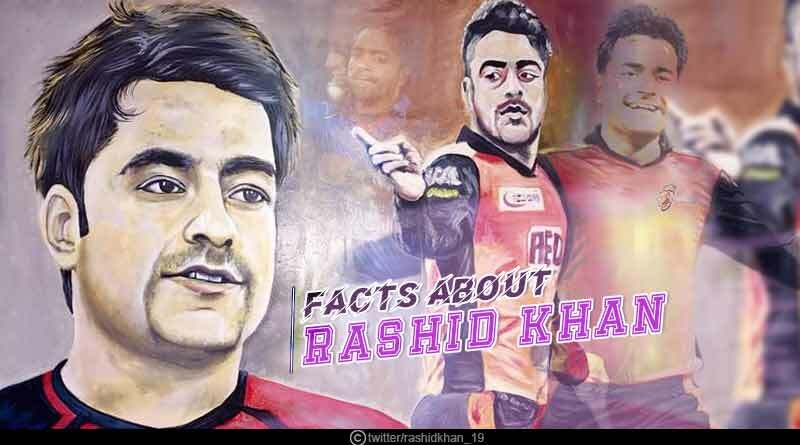 To read more stories like Facts about Rashid Khan, do follow us on Facebook, Twitter, and Instagram.